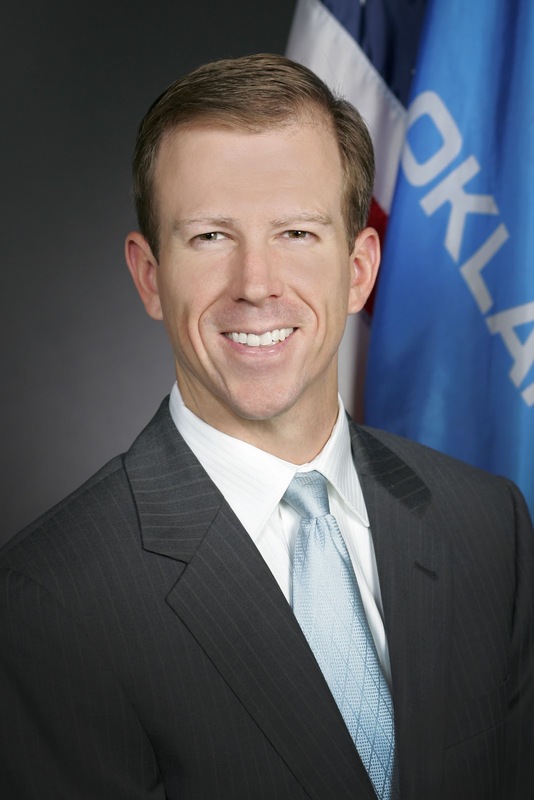 Governor Mary Fallin today announced she has appointed Phil Lakin, Jr. of Tulsa to the Oklahoma State Board of Education. 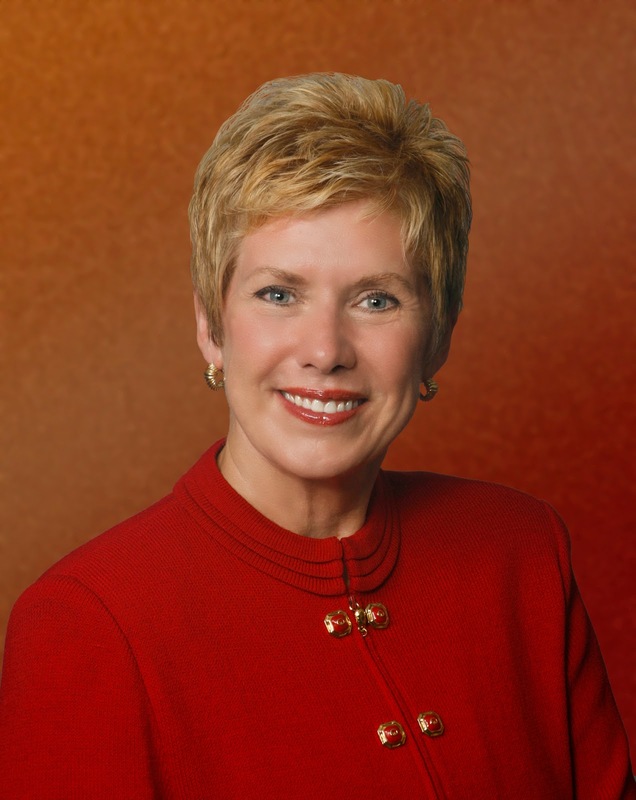 Since 1999, Lakin has been the chief executive officer of the Tulsa Community Foundation, the largest community foundation in America. Prior to that, Lakin served as regional director of development for Baylor University. Lakin is also the current president of the Tulsa Educare early childhood education centers and serves on the board of the Tulsa Community College Foundation. 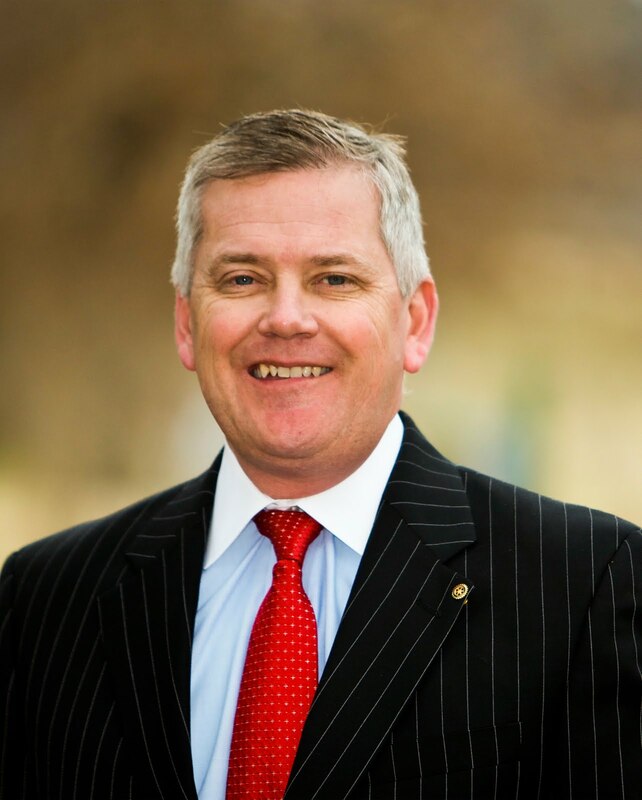 Additionally, he is active in numerous civic organizations such as the Folds of Honor Foundation, Tulsa Zoo Management, Inc., the Tulsa Chamber of Commerce, Tulsa United Way and the George Kaiser Family Foundation. Lakin is a graduate of Jenks High School and serves as secretary of the Jenks Public Schools Foundation. He holds a bachelor’s degree in economics and a master’s of business administration, both from Baylor University. Lakin and his wife Adriane have been married 15 years and have three sons: Brooks, Alex and Cooper. All of his children attend Jenks Public Schools. The appointment requires Senate confirmation. Lakin replaces Tim Gilpin on the board. Yesterday (Monday, March 28), the Oklahoma House Democratic caucus met and voted unanimously to oppose any closings of government-run parks. Scott Inman of Del City, the House minority leader, asked for an official caucus position, and his 30 colleagues supported him. Inman said, “I was concerned given the manner in which the decision was made to close these parks, but even more so when I saw that six of the seven parks targeted for closure were along our Eastern border. Agency officials have said the parks are slated to close August 15. The agency faces cuts of perhaps 5% in the coming fiscal year, after a 13% reduction in the current year. The agency has said the cuts would save the state up to $700,000 in the near-term, with larger savings over time. State Rep. David Dank (R-Oklahoma City) today praised the members of the House Revenue and Taxation Committee for trading a sales tax exemption he called “nonsense” for one that benefits the surviving spouses of disabled veterans. In an unusual move, Dank successfully urged the committee he chairs to remove a 2006 sales tax exemption granted to rock quarries and replace it with one that extends an existing sales tax exemption for 100-percent disabled veterans to their surviving unmarried spouses. The rock quarry sales tax exemption was added to legislation in the closing hours of the 2006 special legislative session. Dank said a lobbyist apparently convinced a legislative leader to add the measure. Dank said the fiscal impact of the 2006 exemption for rock quarries was estimated at about $360,000. The impact of extending the existing sales tax exemption for disabled vets to their widows or widowers was set at some $400,000. Dank’s amendment stripping the rock quarry sales tax exemption from law was added to the bill extending the exemption to vets’ survivors, which is sponsored by Sen. Don Barrington and Rep. Ann Coody (both R-Lawton). The amended bill will now go to the House Appropriations and Budget Committee for action. Governor Mary Fallin and state leaders will host a press conference tomorrow to promote legislation that will transform the quality of education in Oklahoma. Governor Fallin will be joined by Superintendent Janet Barresi, Speaker Kris Steele, Senate Pro Tempore Brian Bingman and special guest, Jeb Bush, governor of Florida from 1999-2007. In a visit to Oklahoma last summer, Governor Bush shared the lessons of reform that reversed a generation of decline in public schools and led to sustained rising student achievement in the Florida. Governor Fallin and Superintendent Barresi have made improving the quality of education in Oklahoma a priority. This session, the Legislature is considering several bills modeled after the reforms that improved results in Florida. WHAT: Press Conference on Education Reform with Governor Fallin, Superintendent Janet Barresi, Speaker Steele, Senate Pro Tempore Bingman and former Florida Gov. Jeb Bush. The Oklahoma House of Representatives passed Senate Bills 862 and 865 today by Rep. Dan Sullivan, R-Tulsa and Sen. Anthony Sykes, R-Moore, which would eliminate joint and several liability and require that juries receive accurate information regarding tax impact on awards. The measures are a critical part of the Republican lawsuit reform package supported by Governor Mary Fallin, House Speaker Kris Steele and Senate President Pro-Tempore Brian Bingman. SB 862 removes a requirement that a defendant, in certain civil actions, will be jointly and severally liable for all damages if the defendant is found to be more than 50% at fault. 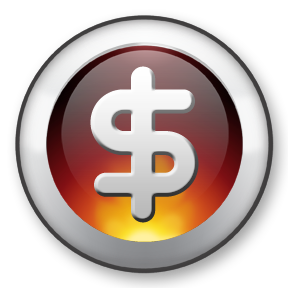 Under current law, defendants can be held responsible for paying a higher portion of awards beyond the percentage of their fault to plaintiffs, based on their ability to pay. SB 862 would eliminate this practice. The measure passed the House by a 64-32 vote. "This legislation applies a common-sense standard to lawsuits, ensuring that each person is held responsible for his or her actions alone and not the actions of others," Sullivan said. "That is a reasonable approach which also reduces the incentive for individuals to file frivolous lawsuits." The House also approved Senate Bill 865 by a vote of 65-30. It would instruct juries that no part of an award for damages for personal injury or wrongful death is subject to federal or state income tax and the jury should not consider income taxes when determining a proper compensation award. Both measures now proceed to Governor Fallin’s desk. Governor Mary Fallin tomorrow (Wednesday, March 30) will discuss the Oklahoma Health Insurance Exchange and education reforms during two live television interviews. Today the House Common Education Committee amended SB 435 which would allow the governor to appoint the members of the State Board of Education. The Common Ed Committee approved SB 435 by a vote of 11 - 4. Senate Bill 435 provides that governor will appoint one member from each congressional district and one member from the state at-large to the seven-member State Board of Education. Terms will be four years and each member will serve at the pleasure of the governor. Under the terms of the bill, the governor must make new appointments to the Board by August 1, 2011. The measure now moves to the House floor. 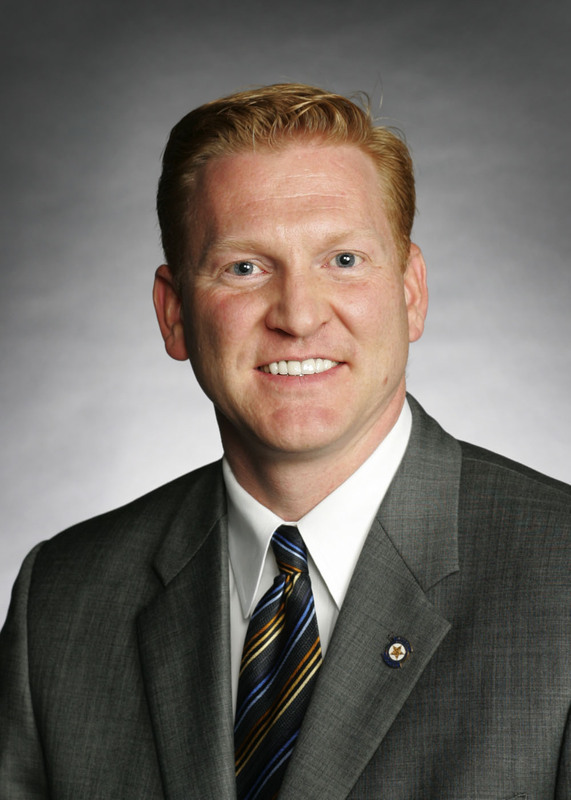 State Rep. Randy Grau today praised the appointment of Dr. Eric Pfeifer as Oklahoma’s new chief medical examiner. 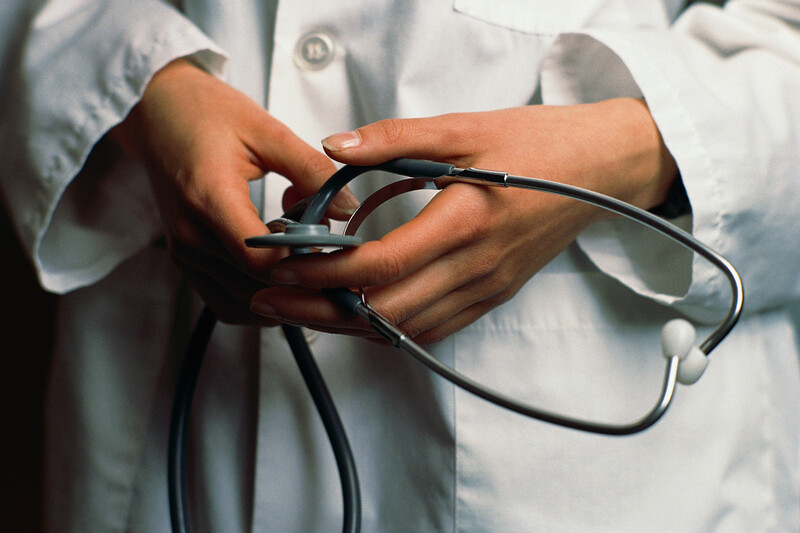 Pfeifer previously worked at the Mayo Clinic in Minnesota and as the Olmsted County coroner in Minnesota. 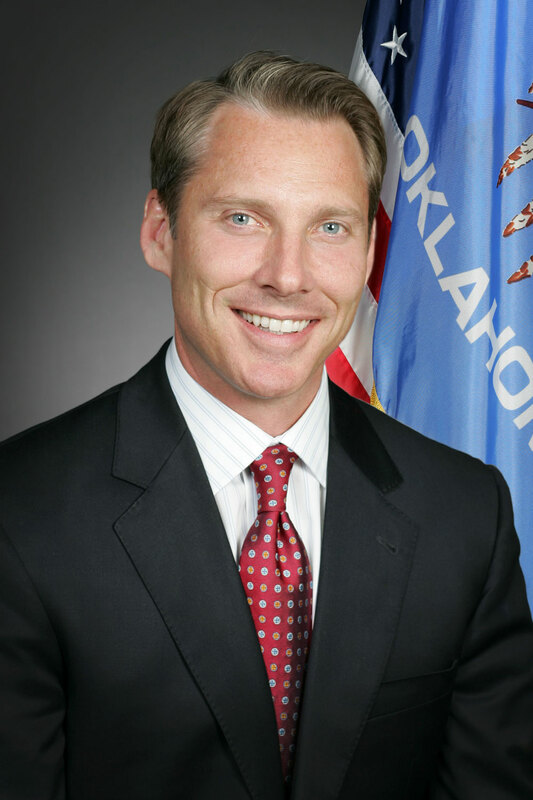 Grau and state Sen. Clark Jolley (R-Edmond) have authored legislation, Senate Bill 671, to reform the Office of the Medical Examiner. The legislation renames the agency’s governing board as the Board of Forensic Pathology, allowing for new board members to be named and authorizing the hiring of the new executive director. Governor Mary Fallin applauded members of the Senate Education Committee today for their approval of two bills related to education reform. HB 2139 defines the responsibilities of the State Board of Education and the State Superintendent of Public Instruction. The second bill, HB 1380, eliminates a legal procedure known as “trial de novo,” thereby simplifying the process of dismissing ineffective teachers. Fallin named the elimination of “trial de novo” as a priority in her State of the State address. Both measures now proceed to the Senate. “I applaud the Senate Education Committee for working to approve both of these important bills and I encourage the Legislature to get them to my desk as soon as possible. Signing these bills into law will help to increase accountability in our classrooms, ensure the state of Oklahoma employs qualified and effective teachers, and ultimately work to improve the overall quality of our schools,” Fallin said. Yesterday Lt. 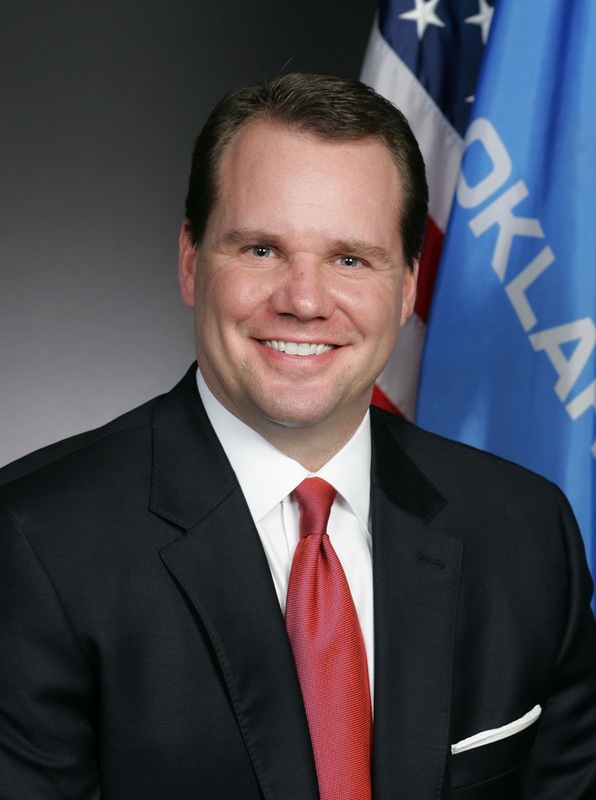 Governor Todd Lamb secured the National Lieutenant Governor’s Association (NLGA) annual meeting in Oklahoma City in 2013. In his invitation to host the 2013 conference, Lamb gave a formal bid presentation that showcased Oklahoma City and what we have to offer visitors from across the nation. The NLGA’s national conference is set to be held in Puerto Rico in 2011, followed by Chicago in 2012, both of which went through a similar bidding process. Earlier this month, Lt. Governor Lamb was named to the NLGA’s executive committee, serving as South Region Chair. The South Region includes Texas, Alabama, Arkansas, Florida, Georgia, Kentucky, Louisiana, Maryland, Mississippi, North Carolina, Oklahoma, Puerto Rico, South Carolina, Tennessee, Virginia and West Virginia. The NLGA is made up of Lt. Governors from across the nation. They meet in a different state each year to reassess the needs of the states, brainstorm for ways to meet those needs and move the states forward. Engrossed SB 576’s intent is to increase child support collections by recruiting public assistance to locate parents when other methods have failed. The House of Representatives voted this morning 87-0 in favor of SB 576 which now goes to the Governor for her signature. SB 576 by Sen. Patrick Anderson and Rep. Jason Nelson authorizes the Department of Human Services to release a delinquent or missing parent “Most Wanted” list of individuals who are in arrears in court-ordered child support obligations or who are sought for the purpose of establishing a child support order. Governor Mary Fallin issued the following statement today regarding the one year anniversary of the passage of the federal health care law. While in Congress, Fallin voted against the bill. She supports the national effort to repeal and replace the law with legislation as well as the legal effort to have the bill struck down by the U.S. Supreme Court. Oklahoma is one of the many states that filed a legal challenge to the federal law. “A year ago today, President Obama signed into law one of the most ill-conceived pieces of legislation to have ever come from Washington, D.C.: the Patient Protection and Affordable Care Act. ‘ObamaCare,’ as it has come to be known, is both an assault on our constitutional liberties and a burden on our already struggling economy. “In Oklahoma, the law stands to impose approximately $441 million in unfunded mandates on our state government at a time when we are already struggling to balance our budget and pull our economy out of a recession. And unlike the federal government, we can’t print money or borrow it from China – those funds will come directly out of other government programs in Oklahoma. “We are releasing the premiere edition of the Oklahoma Economic Report. We will publish this newsletter each month to deliver business and economic news relevant to our state. We will also provide analysis and commentary on various policy issues as well as a comprehensive look at Oklahoma revenue reports. “The Treasurer’s Office is excited to be partnering with the Office of State Finance in the issuance of state financial reports to provide better data, analysis and transparency. “The Treasurer’s Office will report on total revenues collected, while State Finance will report on the portion of collections deposited to the General Revenue Fund for allocation to state agencies. “Analysis of overall revenue collections, or “Gross Receipts to the Treasury,” will utilize a complete data set to more accurately gauge state economic performance, since viewing only the General Revenue Fund data subset can understate or exaggerate underlying conditions. “While the State Finance report on General Revenue Fund allocations provides information important to state agencies for budgetary planning purposes, it is our hope to provide a timely and less obstructed view of our macro economy. It's an absolute honor to be here tonight, and I know our time is short, and I don't want to stand between you and dinner, so I'm going to get right to the point. In order to win the future, as President Obama has challenged us, we must enable every single American to reach their potential, and in my book, all means all. Every child, regardless of income, race, background, or disability can learn and must learn, and our system of education and our system of education, spread across 50 states, 15,000 school districts, and 95,000 schools, must embrace this core belief every day in every way possible. 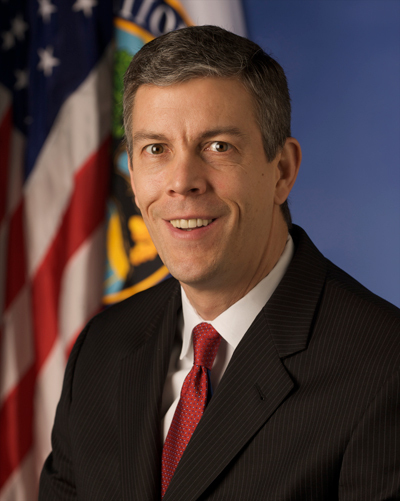 That's why our administration strongly supports subgroup accountability in No Child Left Behind. This is one thing that No Child Left Behind got absolutely right. Thanks to NCLB, America can no longer ignore those insidious achievement gaps. We can no longer celebrate the success of one group of students if another group of students is still struggling. We have to be open and honest about where we fall short. But we also have to be much more thoughtful about how to address our education system's shortcomings, and this is what NCLB got wrong. The law mandates one-size-fits-all solutions, no matter what the size or the scope of the challenge. We all know that Washington cannot dictate solutions to schools at the local level. Instead, we must empower local educators to tailor remedies to the students most at risk. And then we'll hold them accountable. We'll demand that every school, district, and state take full responsibility for every single student and focus on closing achievement gaps instead of merely identifying them. We have to stop admiring the problem. We will also encourage the kind of best practices that we know are most effective, and at the top of that list of best practices is one simple word: inclusion, and by extension, holding students with disabilities to the same high expectations as everybody else. We know, we absolutely know, that when we keep expectations high, students with disabilities excel. Just yesterday I was at Beers Elementary School here in D.C., which has done an extraordinary job at inclusion. Their philosophy there is as profound as it is simple. They told me repeatedly that they're preparing all their students for success in one society, not a general ed society and not a special ed one. That world simply doesn't exist. For too long, the answer to educating students with disabilities was to isolate them and to deny them the same educational experiences that others were having, and thankfully, those days are over. The fact is 60% of our students with disabilities spend 80% of their time in the regular school environment. That's real progress, and there's absolutely no reason that those numbers should not continue to rise as more and more teachers know how to effectively work with students with disabilities. All teachers--all teachers--must be equipped with those skills. At the same time, all of the other important indicators for students with disabilities are rising, from student achievement to high-school graduation to college enrollment rates. As a country, we are doing a much better job today of serving students with disabilities. Meanwhile, the vast majority of students with disabilities are also part of the same accountability system as everyone else, and that's the way it should be. I want to say here and now for the record that we are moving away from the 2% rule. We will not issue another policy that allows districts to disguise the educational performance of 2% of students. That's unacceptable, and that must change. We have to expect the very best from our students and to tell the truth about student performance so that we can give all students the supports and the services they need. And if you look at our 2012 budget proposal and our blueprint for rewriting the federal K-12 education law, it's pretty clear where we stand. We want to boost funding for students with disabilities by $200 million, even in these fiscally challenging times. We also want to increase funding by $50 million for infants and toddlers with disabilities. We want to protect critical programs serving students with disabilities, including preschool grants, national activity funds, vocational rehabilitation programs, national dissemination and research grants, and supports for institutions serving students with disabilities. We want to fund innovative new research programs to help provide people with disabilities who need accommodations with on-demand access to those accommodations any time, any place there's an Internet connection. We also want to continue to support young people with disabilities as they transition to college and the workforce. Students with disabilities, like everyone else, must be college- and career-ready because we know that the good jobs of the future will require more than a high-school diploma. And when they have the education they need to succeed, they will be self-sufficient and be able to live independent lifestyles. I want to thank our business partners here today, but it's just so important that we assure all of our workplaces welcome everyone. You understand that the best companies draw on the widest range of skills and talents available. Back in Chicago I have some wonderful partnerships with businesses that made it their business to hire my students with disabilities, and we can't do enough to celebrate them. Please give our business partners another round of applause. Finally, personally, I want to do a much better job of talking about students and people with disabilities, and this is where I know that I have not always met your expectations. Too often, in the everyday churn of activities, I have overlooked one segment of the student population as I have talked about another one. I talk about students in poverty. I talk about children of color, English-language learners, the homeless, and children who live in rural or remote communities, and sometimes I know I don't talk enough about students with disabilities, and people might wonder if I understand the barriers facing students with disabilities in the classroom and in the workforce, and that's when I think back to my mother's tutoring program in a church basement on the south side of Chicago. I spent almost every afternoon of my childhood in that tutoring program with her. My friends were poor children, all African American, and many of them unable to read when they showed up at her door. Back then, fewer children were being diagnosed with ADD or dyslexia. We didn't have all the resources and supports that thankfully exist today. But we understood something much more basic, much more fundamental: we understood that there was no barrier to learning that we cannot overcome. There is no disability that is bigger or more powerful than our collective will, and there's no greater hunger than the hunger of a child to learn, and that has nothing to do with disabilities, with race, or with poverty. We're all born with it, we all share it, we all want it, and we all can and must get it. In later years, those students and students like them got the resources and supports they needed--books and accommodation and better technology and better-trained teachers, and they also got the time to learn in their own way, and every single one of them learned. They met our highest of expectations, and many of them went on to do great things. Whether it was the children I grew up tutoring or whether it was relatives and cousins, I was lucky enough to grow up with children who every single day were beating the odds. Witnessing those daily struggles and the tenacity and the courage necessary to overcome them shaped me. We have to have the highest of expectations for every child in every classroom across the country. That's the understanding we bring to our work in reauthorizing federal laws impacting people with disabilities. Whether it's ESEA, IDEA, the Workforce Investment Act, or the Americans with Disabilities Act, please know that the Obama administration stands with you and that I will remain your champion, your advocate, and your servant. Please know that I will always challenge myself and my team to measure our collective success in terms of all children, not some children, and all people, not just some people. Equality and inclusion are at the heart of the American ideal. They represent our common hopes, our deepest aspirations, and our best values. So I thank you so much for your time tonight. I thank you even more for holding me and others accountable for our words and our actions, and most importantly, I thank you for the hard work you're doing every single day on behalf of America's children and adults with disabilities. Because of you, literally--literally--millions and millions of people with disabilities will reach their full potential, and therefore America will reach hers. Thank you so much and have a great evening. The second Oklahoma Victim Assistance Academy (OVAA), designed to improve the quality and consistency of services to crime victims in Oklahoma, will be held June 5-10 at East Central University in Ada. Student applications and all required documents must be received by March 24. Scholarships are available to cover registration and all room and board for the academy. The OVAA is an intensive week-long course of study for victim advocates, service providers, law enforcement professionals and social service providers who work directly with crime victims in any capacity in a paid or volunteer position. The academy increases providers’ capacity to serve those victimized by crime, encourages cutting-edge thinking about ways to help victims regain control of their lives and enhances the multidisciplinary training currently provided. The Oklahoma Attorney General’s Office will select up to 40 candidates to attend the academy. All students who complete the 40-hour training will receive a certificate of completion. Continuing education units (CEU's) have been applied for victim advocates and allied professionals. Academic credit from East Central University or Oklahoma State University–Oklahoma City is available for an additional fee. Students will complete 20 hours to 40 hours of online course work prior to the academy. Candidates with less than five years of experience in working with victims are preferred. However, applicants with more than five years of experience are eligible, if they submit written justification why they should be considered for the academy. Information about the academy and an application can be found online at www.assistvictims.com. Information also is available from Jannason Long at ECU at (580) 559-5859 or jlong@ecok.edu, or from Allyson Carson at the Oklahoma Attorney General's Office at (405) 522-4397 or Allyson.Carson@oag.ok.gov. The purpose of the Attorney General’s OVAA is to provide comprehensive, academically based, fundamental education and training for victim assistance providers, victim advocates, criminal justice personnel, and allied professionals who routinely serve crime victims. State Superintendent of Public Instruction Janet Barresi on Tuesday officially launched the 3R Agenda, a comprehensive policy platform for transforming Oklahoma’s education system. 3R Press Conference 3.15.2011 from OK Dept. of Education on Vimeo. Each year, the Oklahoma Heritage Association offers more than $500,000 in scholarships to high schoolers who have paid attention in their Oklahoma history classes. In the Oklahoma Heritage Scholarship Competition, ninth through 12th grade students take a test on Oklahoma history. Those with high scores in each county receive a $1,000 cash scholarship or tuition grant to an Oklahoma college or university. Most counties have at least three scholarships available. The 2011 competition will be held on Saturday, April 2, 2011. Click here to go to the Oklahoma Heritage Scholarship Competition website. The Oklahoma House of Representatives has approved Gov. Mary Fallin’s request to provide convenience to Oklahoma business owners this week. House Bill 1601, by state Rep. Aaron Stiles (R-Norman) and state Sen. Clark Jolley (R-Edmond), would establish a one-stop shop through which business owners could establish a new business and obtain the licensees and permits they need in one convenient location. "This plan is designed to cut through the government bureaucracy, which is a strong disincentive to the creation of new businesses and jobs," Stiles explained. "Business owners should not be forced to navigate through a gauntlet of multiple agencies and government red tape in order to start their business." "Governor Fallin’s proposal will enable Oklahoma businessmen to spend less time dealing with government and more time focusing on their business," added House Government Modernization Committee Chairman Jason Murphey (R-Guthrie). House Bill 1601 was approved by a vote of 90-7 and now goes to the Senate for additional consideration. OKLAHOMA CITY – Governor Mary Fallin today welcomed an announcement from The Boeing Company that it is planning to build a second facility in Oklahoma City to accommodate 550 new jobs and expanded operations. House lawmakers voted yesterday to reform the way the state handles legal services, particularly the hiring of outside attorneys, in an effort to ultimately reduce legal costs for state government. "In recent years, Oklahoma government has come under the spotlight for the millions of taxpayer dollars expended on private law firms," said state Rep. Mark McCullough, R-Sapulpa. "This legislation will give the public greater confidence that future expenditures of that type are legitimate and that contracts were not awarded as a sweetheart deal for politically connected law firms. The reforms contained in this legislation provide improved safeguards against such potential waste of public money." House Bill 1223, by McCullough, would create the "Legal Services Reform Act." Under the proposed law, state agencies would have to gain the approval by the Office of the Attorney General for all outside attorney contracts. If an agency receives permission to seek outside counsel, the contract would then have to go through a Request For Proposal (RFP) process. In addition, all outside attorney contracts would have to be posted online on the agency’s website within four months. Under current law, contracts of $20,000 and less were exempt from public posting requirements. "The Office of the Attorney General is where state agencies’ legal representation was originally vested, and this bill returns that power to the office – not with contract lawyers," McCullough said. "Throughout the years as agencies were granted exemptions to hire outside firms, we’ve seen the price tag associated for legal services skyrocket." McCullough, an attorney, previously worked in the Civil Division of the Illinois Attorney General’s office. His role in that office was to defend a variety of state agencies against a wide range of claims. In recent years, he noted Oklahoma has been criticized by the Wall Street Journal in an editorial noting the lack of transparency in the state’s hiring of private attorneys. "I know from my own experience that the vast majority of claims filed against an agency can, or could be handled by the agency’s attorney of record – the Office of the Oklahoma Attorney General," McCullough said. "And in those cases where outside counsel is necessary, we should have a transparent process that prevents political influence from impacting a hiring decision." House Bill 1223 passed the Oklahoma House of Representatives on a 64-34 vote today. It now goes to the state Senate. Oklahoma Insurance Commissioner John Doak praised members of the state Senate Thursday (March 17) who approved Senate Bill 722, a measure that would establish the provisions for Oklahoma to join an interstate health care compact to empower state legislatures, rather than the federal government, to continue dealing with health care issues. 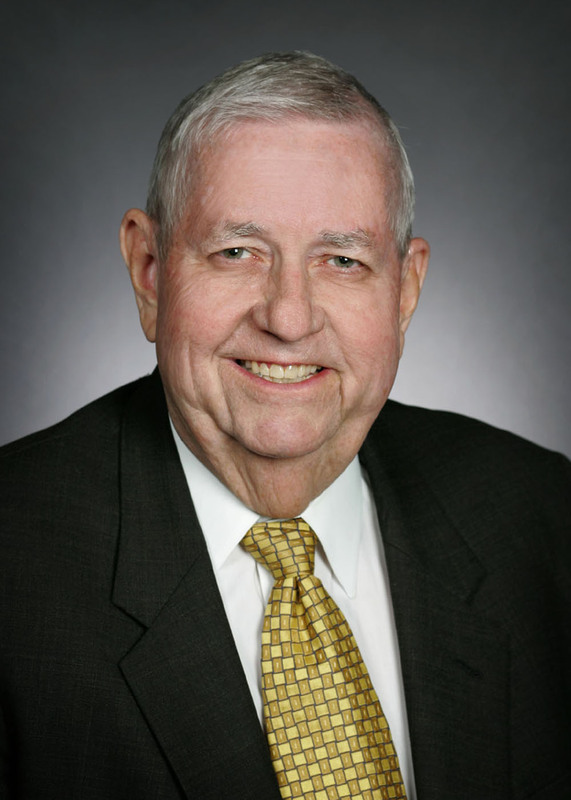 Senate Bill 722, by Senator Clark Jolley, an Edmond Republican, and Representative Glen Mulready, a Tulsa Republican, establishes the provisions necessary for Oklahoma to join an interstate health care compact that reaffirms the authority of the participating state legislatures to deal with health care issues. The bill would allow each compact member to enact its own health care laws and share information with other states in the compact. The bill won Senate approval Tuesday and now goes to the House for consideration. 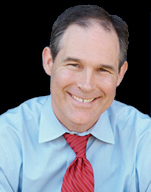 “The health care compact contained in SB 722 does not conflict with the efforts of Oklahoma Attorney General Scott Pruitt and other state attorneys general, state legislators and members of Congress to repeal or modify the Obama health care bill. I believe it supports those efforts by allowing Oklahoma and other states to reaffirm their authority to address health care issues,” Doak said. The bill also does not interfere with the acceptance of federal monies for health care, Doak noted. Today the Oklahoma Senate approved a bill that will give businesses and individuals the opportunity to play a role in providing quality education for Oklahoma children. 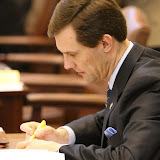 Known as the “Oklahoma Equal Opportunity Education Scholarship Act,” Senate Bill 969 by Senator Dan Newberry, R-Sand Springs, passed with bi-partisan support by a vote of 30 to 14. Under the bill’s provisions, students that meet financial need requirements or that live in school districts identified for improvement under No Child Left Behind will be eligible to receive scholarships. Businesses and individual contributions will fund the scholarships and the state will grant tax credits to those that contribute. Individuals will receive a 50% annual credit for contributions up to $1,000, $2,000 for married couples filing jointly, and a 50% credit annually for corporations on contributions up to $100,000. There is a limit placed on total annual contributions, totaling $5 million. Newberry said that the bill will save tax dollars because local school districts will experience a savings on students that are no longer enrolled in the local public school. Remaining students will benefit from money being made available to educate a reduced number of students. He said that the infusion of private dollars will result in a savings and benefit for all students, from both public and private schools. “Senate Bill 969 increases the amount of money that we spend on primary education in Oklahoma using private sector dollars. I am encouraged by the broad support this bill received today,” concluded Newberry. OKLAHOMA CAPITOL - House Speaker Kris Steele, R-Shawnee, Rep. Glen Mulready and Rep. Mark McCullough comment on HB 2130, approved today by the House of Representatives. The measure defines the membership and appointments to the Health Care for the Uninsured Board (HUB) which will oversee the implementation of the health care exchange. House Bill 2130 passed the House by a vote of 51-34. It now heads to the Senate for additional consideration. We would like to make you aware of the extraordinary opportunity Oklahoma has to be a national leader in designing and implementing a conservative, free-market based health insurance exchange. As you know, the idea of an Oklahoma Health Insurance Exchange is not a new one. In 2009, the legislature passed a bill that authorized the creation of a health insurance exchange portal where consumers could compare and research various private health insurance plans in one online location. As mentioned in the State of the State address, our goal is to create an insurance exchange where small businesses and individuals can pool their money to expand their purchasing power, increase competition and ultimately reduce costs. Our vision is to protect consumers and guarantee the role of licensed agents and brokers. Therefore, we are asking for your support for HB 2130, which establishes a governance structure for an Oklahoma Exchange. We believe the creation of this Oklahoma Health Insurance Exchange represents a great opportunity for our state to develop a national model for providing citizens with quality private health insurance. I also believe it represents an important opportunity for conservative policymakers to offer a positive agenda for Oklahoma families. The Commissioner and I strongly oppose ObamaCare and will continue to work to have it overturned. We are proud to stand with General Scott Pruitt and his efforts to have this law ruled unconstitutional. This is now our opportunity to stand up for our 10th amendment rights and create an Oklahoma based free-market exchange. An Oklahoma Health Insurance Exchange would be an online marketplace where costs are reduced, where insurance products could be bought and sold to meet individual needs and where all insurers could compete to promote real choices for consumers. This is the exchange that my administration, the Insurance Commissioner, the Speaker, the Pro Tem, and others are dedicated to creating. We look forward to working with all stakeholders on the legislation to ensure everyone is represented appropriately. We hope you are as excited by this opportunity as we are. Swezey, of Edmond, and other family members watched from the Senate Gallery as lawmakers voted unanimously for Senate Bill 529, the Erin Elizabeth Swezey Act. The bill is named for the Swezeys’ 20-year-old daughter, Erin, who was killed by a drunk driver in 2009. As approved by the full Senate, the measure would require an interlock ignition device for two years for a first-time DUI conviction. On a second offense, the device would be required for five years. Subsequent offenses would mandate the use of an interlock device for eight years. Some Senators voiced concerns because the bill required the words “DUI Conviction” to be branded on the person’s driver license. Jolley accommodated those members by amending the bill so that instead, the words “Interlock Required” would be on the individual’s license for as long as they were required to have an interlock device. “Our goal is not to stigmatize those who are convicted of drunk driving—it’s to make sure they are not driving while drunk,” Jolley said. The Swezeys thanked Jolley and the Senate for passage of the measure, and urged the House to join in supporting the Erin Swezey Act. OKLAHOMA CITY (March 15, 2011) — State Superintendent of Public Instruction Janet Barresi on Tuesday officially launched the 3R Agenda, a comprehensive policy platform for transforming Oklahoma’s education system. Barresi said some items in the 3R Agenda are working their way through this year’s legislative session, while other portions will serve as a long-term blueprint to help guide Oklahoma’s education policy over the next several years. Barresi was joined at the launch event by members of the 3R Initiative, a nonprofit group formed late last year to help advance education reforms in Oklahoma. The 3R Initiative shares Superintendent Barresi’s vision to fundamentally transform Oklahoma’s public education system, said 3R Initiative board president Bill Frankfurt, CEO of architecture firm Frankfurt Short Bruza. Other members of the 3R Initiative board include Johnny McCharen, Kristy Whitsitt, Todd Hiett, Roger Stong, Larry Sweet, Daryl Woodard, Mark Allen and Nancy Payne Ellis. 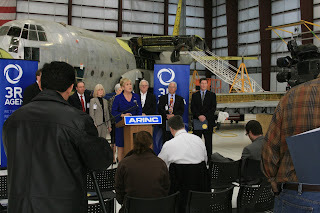 Barresi launched the 3R Agenda at ARINC’s 81,000 square-foot-facility near Will Rogers World Airport. ARINC’s location features the largest aircraft hangar in Oklahoma City, where the company’s team provides aircraft modifications, avionics upgrades, structural and electrical modifications, systems integrations and more. ARINC officials said they are preparing an expansion of their facility with an even larger hangar next to their current location. “We are going to need aircraft mechanics, shop personnel, engineers and program managers for the new programs that will go into that new hangar,” said Paul Berry, director of industrial services for ARINC. Barresi pointed to the aerospace industry’s potential for job growth in Oklahoma. “We can attract these kinds of jobs to our state, but only if we are preparing our students for the demands of the knowledge economy,” she said. The Oklahoma House of Representatives voted overwhelmingly today to roll back last year’s fee increase on vending machines, potentially helping many small businesses survive. 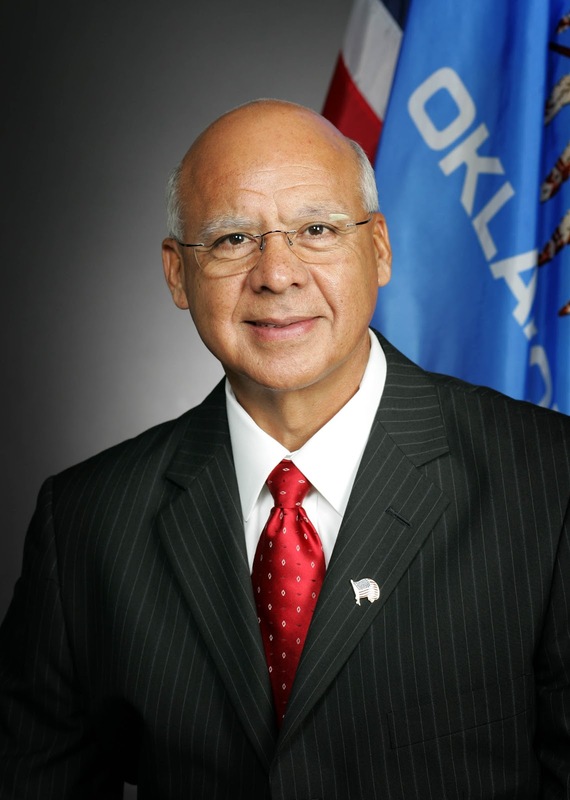 “It has become clear that we have to reassess last year’s policy decision to triple the fee on vending machine operators,” said state Rep. Charles Ortega, R-Altus. Last year, lawmakers voted to triple the fee paid by vending machine operators, increasing it from $50 per machine to $150 apiece. The increase was, in part, a response to last year’s budget shortfall. House Bill 1634, by Ortega, would reduce the fee from $150 to $75. According to Tax Commission records, there are 54,323 vending machines across the state. Members of the vending machine association and soft drink bottlers have predicted the fee increase will result in a 30-percent reduction in machines on the Oklahoma market. If that prediction is correct, the $150 fee could actually result in a loss of $6.5 million to the state once associated job reductions are included. That is a dramatic contrast with the $8.5 million increase originally estimated. “The $150 fee was simply bad policy and I am pleased to see such broad support for rolling it back this year,” Ortega said. House Bill 1634 passed the Oklahoma House of Representatives on a 96-0 vote. It now goes to the state Senate. House Bill 1550 requires that if a third-grade student is not reading at grade level, the student will be asked to participate in a summer reading academy or other program designed to assist the student in attaining grade-level reading skills. House Bill 1550 by Rep. Sally Kern and coauthored by Rep. Nelson passed the House of Representatives today 67-26. If the student does not participate, the student will be retained in third grade and a new program of reading instruction will be developed for the student. If the student does participate in the summer program but doesn’t successfully complete competencies, the student will be retained in third grade and provided alternative reading instruction. In addition, students who score unsatisfactory on the reading portion of the third grade criterion-referenced test, will be retained in the third grade and provided alternative reading instruction. 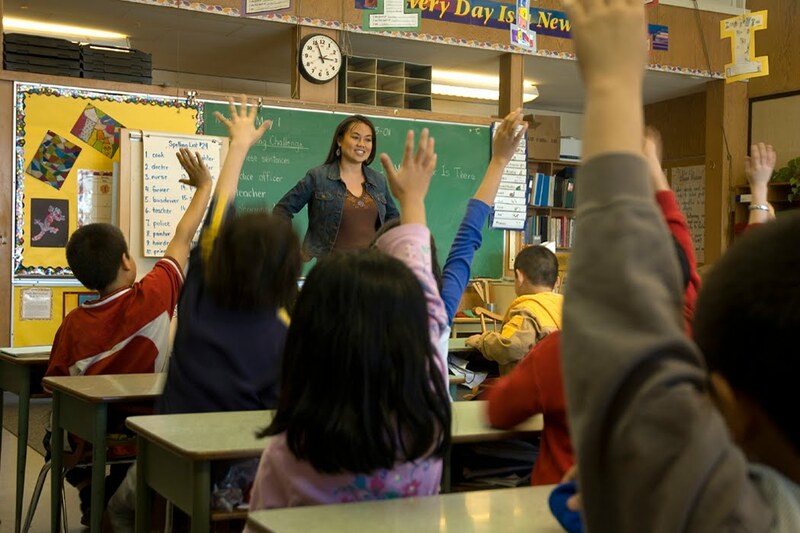 Parents of students who are not reading at grade level or who scored unsatisfactory on the reading portion of the test will be notified that the student will be retained if the reading deficiencies of the student are not remediated, reasons the student is not eligible for a good cause exemption, description of the program of reading instruction and strategies for parents to help students. limited English-proficient students who have had less than two years of instruction in English. students with disabilities who have IEPs and were previously retained in kindergarten, first grade, second grade or third grade for two years. students who have received a program of reading instruction but still demonstrate a deficiency and were previously retained in kindergarten, first grade, second grade or third grade for two years. The bill also provides for reimbursement for remediation for students who are retained in third grade. HB 1550 now goes to the state Senate for consideration.